When you graduate from college and enter the working world, retirement may be the furthest from you mind. Even being in your job for ten or twenty years and you may not even still have your sights on what to do after the you leave the working world. The problem is, the longer you wait, the less time you have to earn compound interest and build a nest egg for your future. The truth is, you should start to save as soon as you start earning money, but realistically at least set up your employer’s 401(k) account as soon as you start earning a paycheck after college, and gradually increase from there. The more time that goes on getting used to have that money in your account, the less you’ll want to transfer it to save. In this day and age, you always hear about how Social Security will not be available for future generations, so whether that is true or not, we can’t completely rely on that amount if you are living at a certain income level, so we need to supplement with either a 401(k) or IRA. 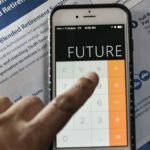 While there are great tax benefits by reducing your taxable income by investing in a 401(k), either a traditional IRA or Roth IRA may or may not be to your benefit right away, but something to discuss with a tax professional. As I mentioned, as soon as you get used to having money in your account, the less amount you are willing to part with it to save, so every time you get a raise or bonus amount, you could increase your retirement contributions to that amount so you never know the extra is there, but in fact you are helping yourself out greatly with the extra contributions. If you think money is tight now while you’re working, wait until you’re on a fixed income where every dollar counts. In order to free up every available dollar you can, it’s best to start now, reducing impulse purchases and unnecessary expenses so you can free up extra money to save. By having good money behaviors now, while still enjoying life experiences, you can be well on your way to having money to spend in your golden years, while still living life to its fullest. Think about the next time you go out to eat, what you could have saved by eating at home. Figure out that over the course in a month and you could be shocked at how much extra you could have. Reducing expenses is important, but in order to stay ahead and not get into a hole is to stay out of debt. Not only will you be trying to pay back what you couldn’t have afforded at the time, but you will also be paying interest. extra expenses for you, at a premium rate. On a credit card, it’s not unlikely that you could be paying upwards of 16% interest on balances that you couldn’t pay off by the statement due date. Filed Under: Am I Saving Enough?